This one is odd no matter which way you slice it. It seems like every body part is cast in a different color of plastic, but the skirt is hand painted. Actually this paint scheme for the skirt would have been more realistic for the figure, but I suppose that it would have been cost-prohibitive to manufacture. 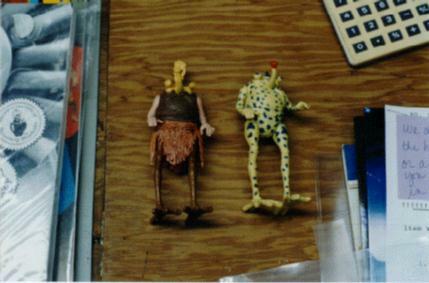 It is displayed here alongside a production figure for contrast and comparison.